This is another version of Network. This time it’s an aerial microchip installation that forms a network of wirelessly connected circuits. I have developed this into an interactive piece, triggered by mobile phones. A plume of LED lighting from dozens of tiny independent receivers and transmitters lights up above you, sometimes randomly and sometimes by design. I feel sure that a 17th Century priest would have given his right arm for one of these. 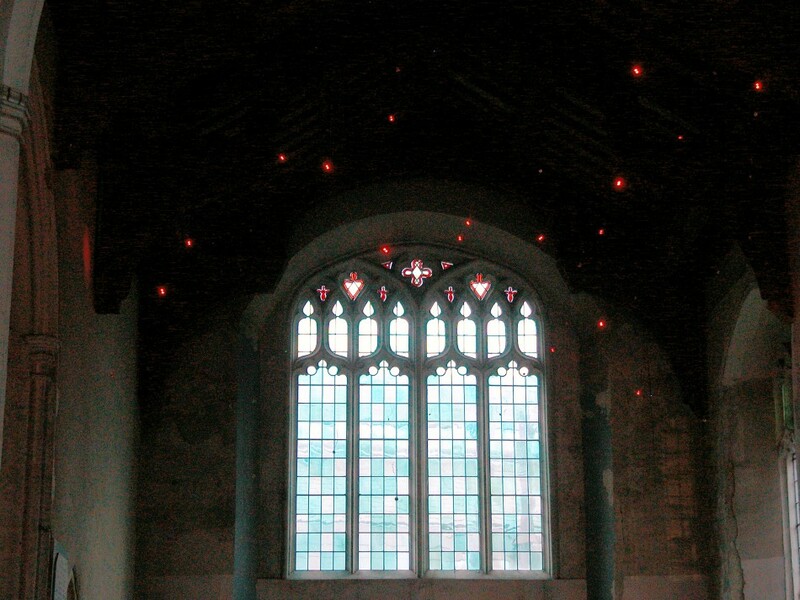 February 12, 2012 | Filed under Commissions, Uncategorized and tagged with church, fun, installation, interactive, LED, mobile phoned triggered, network, performative.